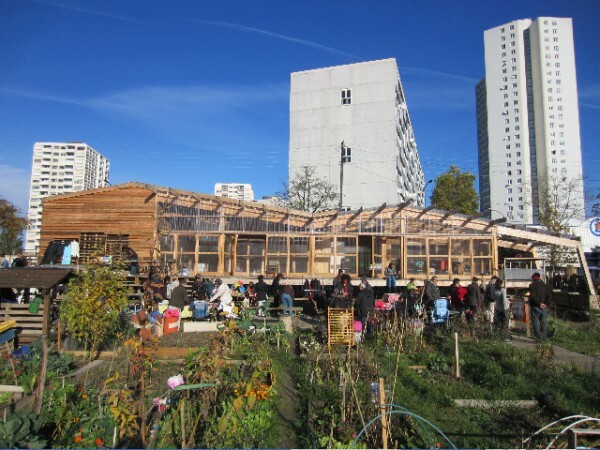 The R-Urban project in Colombes is developed as a bottom-up local development strategy and combines ecological and socio-cultural aspects to generate and nurture a local economy and urban resilience. As an artist researcher I'm looking at the different moments and locations within R-Urban where trade and exchange take place (or could take place). I've chosen the format of a shop as a starting point to research and test ideas and proposals towards a local economy that embraces multiple forms of formal and informal exchange and trade. Both "Trade Show" and the "Eco Nomadic School 02" will feed into the ongoing action research, and bring temporary shop settings and collective product development workshops to Colombes.